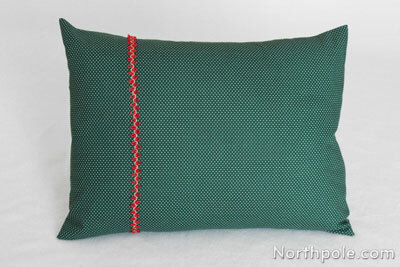 This wide pillow is very similar to our basic pillow cover, but with a festive ribbon sewn in the seams. 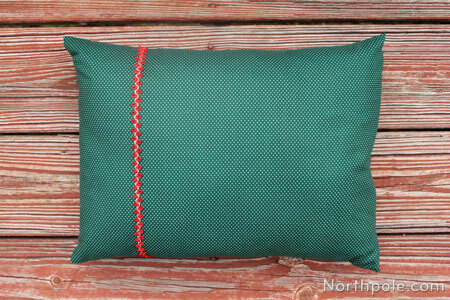 The proportions are different due to the shape of the pillow, but it’s still just as easy! 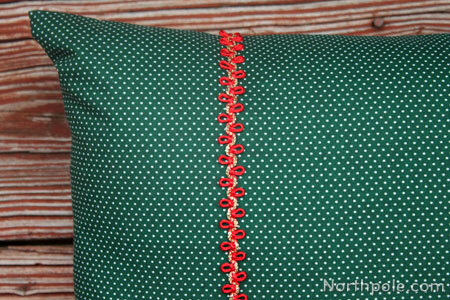 With so many different types of ribbon, you can make the pillow as fancy or as casual as you like. Happy sewing! 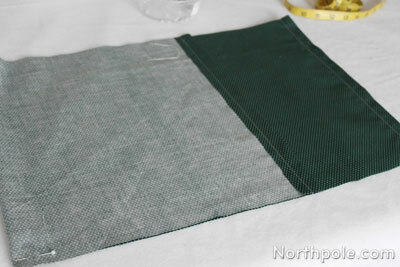 Wash and dry fabric, iron out any wrinkles, and then measure and cut. Our piece of fabric is 14" x 37". Note: We are making the opening of the pillow cover closer to the side of the pillow (versus near the center of the pillow like we did for square pillows). 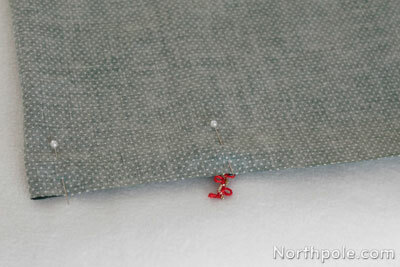 Fold each short end over by about 1" and use pins to hold in place. 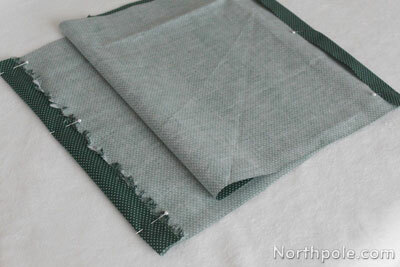 Iron the edges and sew a straight line about 0.5" from each folded edge. Remove pins. 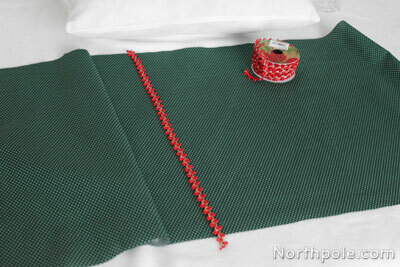 Place the fabric on a flat surface, right side up. Fold one end over about two-thirds of the way. 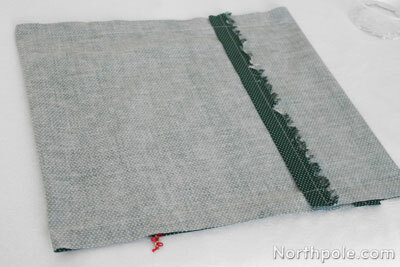 We used pins on the folded edge as a place holder. Gently open the fabric. Measure and cut a piece of ribbon 14" and place on the fabric. 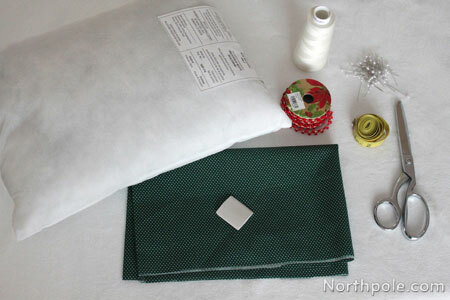 Gently fold the fabric back, being careful not to move the ribbon. Use pins to hold in place. 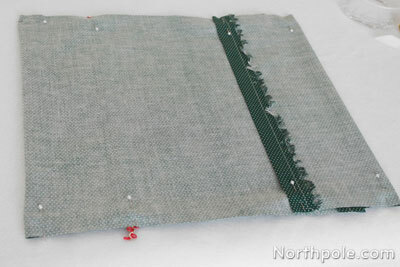 Now fold over the other side of fabric so that it overlaps this side. The distance between the two fold lines should be 16". Sew 1" inseams along the raw top edges. The distance between the two lines should be 12". 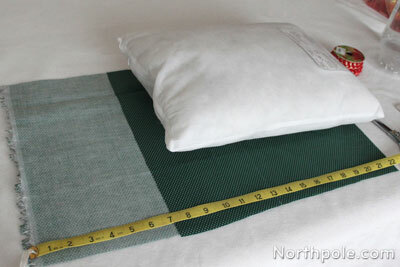 Turn fabric right side out and place pillow inside. Now your pillow is done!